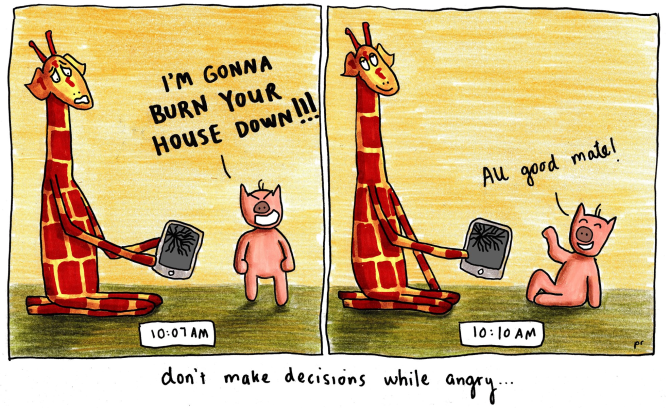 Give anger some time…it won’t matter in a bit! OH MY GOSH!! I’m teaching #1Grandson this parable right now along with Little Red Riding Hood, and Jake in the Bean Stock.